Since you are reading the words on this page, it is no great leap of logic to assume that you are an actor, or are trying to becoming one. And with an even smaller leap I might assume that you picked up this book because you are looking for answers—for some meaningful “how to’s” that will help you become the best actor you can be. So let me ask you a question right at the outset. What do you think it takes to become a first-rate actor? Take a moment to think about it. You may even want to jot your thoughts down. Doing so makes them more tangible and, in my opinion, more useful. In the course of reading this book you will be asked to do a lot of thinking. And one of the goals of this book is to make your thinking as useful as possible for you as an actor. Thinking is really what this book is all about—learning to think as an actor must. So—when you’re finished thinking, continue reading. Talent may have been the first answer that came to mind, particularly if you’re just beginning your acting training. But talent can’t be learned; you either have it or you don’t. Talent is a gift—so if you’ve got it, say thank you and read on. Now, on the other hand, if you said craft, you identified something that can be learned and will help you use your talent more effectively. In addition to being an art form, acting is very much a craft, because it calls for skills that can be learned and mastered. Many if not most artists in the field have studied acting as a craft, even if they haven’t done so formally. And if you think you don’t have talent, or don’t have as much as you’d like, craft will help you appear as if you do. So let’s refine our question: What are the skills that can be learned and mastered that can make you a good actor? If you’re familiar with Stanislavski, you may want to say finding emotional truth, or sense memory, or playing actions. If you’re familiar with the Method, you may say personal investment or emotional accessibility. Those of you familiar with the work of Sanford Meisner may say the ability to listen and react truthfully in the moment. Those of you familiar with Grotowski, Laban, or Michael Chekhov may say being able to access and use your body effectively. Others still might reference the vocal work of Linklater, Fitzmaurice, or Cicely Berry. Still others might say it’s all about relaxation. And if you’ve already had some training, you probably know that acting requires that you be skilled in all these areas. And that is why universities, conservatories, and acting studios everywhere feature workshops, courses, and, on the graduate level, even degrees in all these areas. And ultimately you will want to develop as many of these skills as you possibly can. But there is another area of study you will need to be skilled in as well, and it is as important that you master this subject as any of the other skills listed—perhaps even more so. And yet it is a subject that you will find listed very sparely on curriculum menus. I certainly never had a course in it in graduate school, and most undergraduate programs offer it as a general course serving all theatre majors no matter what their particular focus. In the program where I teach, for instance, it has only been added as a separate course for BFA actors very recently. (Actually, I have been teaching the course for years, but we have finally begun calling it what it is.) What I’m talking about is script analysis and synthesis for actors. And we finally gave it its own title because, as one of the most important skills to be mastered, it deserves one. Don’t get me wrong. Many programs offer a course or two in script analysis. But the way a lighting or set designer must learn to take apart a play and put it back together is different from what an actor must learn to do. And though writing and directing share some analytical requirements with acting, only actors are fully responsible for making the whole story work at every moment they are on stage. A general course in play analysis cannot give you all the skills you need to carry this enormous responsibility. Nor will it give you adequate time and opportunity to develop those skills so you can make them a part of your actor’s tool kit and be able to use them reliably and independently. As a result, for many if not most actors, learning to analyze and synthesize a play becomes a byproduct of our preparation in scene study classes or part of our on-the-job training. Script analysis remains a supporting player, when it should have a leading role in the training process. This is a disturbingly wrong-headed treatment of one of our most important tools, and it leaves the actor in a similar position to that of the young college student forced to learn to read and write up to level after years of sneaking by in his or her primary education. An inability to understand and use a script effectively can turn acting into a hit-or-miss affair, where choices come out of trial and error rather than through a dependable application of craft. Our primary job as actors is to tell the story of a play clearly, compellingly, and believably. In order to do that, we have to know what the story is and how to present it effectively. We have to know what the best choices are and how to make them. This is a skill that must be developed systematically, through practice and repetition. It must be a focus of attention, not the byproduct of other work. It is the foundation of all that we do when we work from a script. So why is it not taught with the same commitment as voice work or movement? I can’t tell you how often I have seen even professional actors in class or auditions present work that makes no sense in the context of the play—choices that are simply not based on what the script is telling them they must show or do. On stage, those choices obscure the meaning of the play—and the actors come across as deficient along with the story. Unfortunately, they hardly ever realize that this is what is keeping them and their work from fully succeeding. This book, like its partner, Actor’s Alchemy, will examine the relationship between the script and what an actor ultimately does on the stage or on screen. It is my belief that when actors learn to use their scripts with the appropriate analytical insights, they are better able to find and execute choices that will make the story they are telling clear and compelling, and make the work they do more believable as well. As you will see in the pages that follow, I am as concerned with the doing and feeling aspects of acting as the next acting teacher, but it is my belief that all your doings and feelings must be connected to what the playwright has set out. Therefore, the ability to analyze a script and make it the source for all the work you put on stage should be an essential part of your process. The repetition you will encounter as you progress through the book is intentional. When you have read and worked to the end, you may wish to consult individual chapters, and the quick refreshers you find there will help to ground you in the process as you focus on particular points or challenges. What is more, you are aiming for mastery—for the point where you no longer have to think about your process— and mastery requires plenty of practice and repetition. By exposing you to basic principles again and again, I hope to etch them into your memory so that they will be there when you need them. Guest Blogger: Bruce Miller, author of The Actor as Storyteller and the Roadmap to Success series. The following is an excerpt from his blog on EdTA’s website. Please visit it for the full post. Nothing reinforces the fact that show business is a business and actors are sellable commodities like a New York student showcase. For it is there that our graduating students finally realize that their talent and training play second fiddle to their commercial prospects—at least in the eyes of an agent. This is unfair, of course, and maybe even reprehensible, but it is also a fact of show business life. The senior showcase mathematically demonstrates this cold reality because what the agents think collectively and individually is measurable. The measure is the number of interviews offered to each of our students from the agents and managers in attendance. And the correlation between who gets the most invitation and who is most talented—or for that matter, who nailed it at the showcase—is sketchy at best. Identifiable and sellable types trump all other considerations. If agents think they can sell you as product, they want you in their catalogue. Can you make them money? It’s that simple. Keep reading this post on Bruce Miller’s blog! The Actor as Storyteller is intended for serious beginning actors. It opens with an overview, explaining the differences between theater and its hybrid mediums, the part an actor plays in each of those mediums. It moves on to the acting craft itself, with a special emphasis on analysis and choice-making, introducing the concept of the actor as storyteller, then presents the specific tools an actor works with. Next, it details the process an actor can use to prepare for scene work and rehearsals, complete with a working plan for using the tools discussed. The book concludes with a discussion of mental preparation, suggestions for auditioning, a process for rehearsing a play, and an overview of the realities of show business. Guest Blogger: Bruce Miller is the author of The Actor as Storyteller and the Roadmap to Success acting series from Limelight Editions. Visit his blog on EdTA for more acting insight. When I last reported in on my adventure acting with my students, playing Gloucester in a production of King Lear, I was going down for the count. I couldn’t sleep, my anxiety level matched what I felt the first week of basic training, and the lines I had memorized for months were suddenly like the land of Brigadoon—not to be found on any known map of the region. To compensate, I was meditating every day for at least a half hour, and doubling up on my line study. Keep reading this article on Bruce’s blog on EdTA’s website! I am currently working on a play at the University of Miami. That’s not unusual. I am often involved in a production at this time of year. But the play is King Lear, and I’ve only done one other production of Shakespeare since I began teaching some twenty-six years ago. In my last year as a secondary school drama teacher, I directed a production of the Scottish play. It was to be the first production in a new state of the art theatre, but the construction fell behind. Since the old theatre had already been demolished, we had to perform the play on a makeshift space that wasn’t quite ideal. I probably shouldn’t have mentioned the title of the play so fearlessly and so often. It was pretty stressful, but in the end the production turned out nicely. Now, some eighteen years later, I’m doing Shakespeare again. But this time is very different. I’m not directing, you see. I’m acting. I have the role of Gloucester, the parallel plot role to Lear. I get to have my eyes poked out and be led around the stage in a bloody blindfold by my students. I have not acted in eight years, and I have no desire to do so. I was drafted, plain and simple. A professional actor was jobbed in to play Lear and he wanted a professional actor to do this parallel role, so the age differential between the patriarchs and college aged students would be consistent. When my chair asked me to step up, I felt I had to say yes because I had already turned down his offer to direct. I have never before acted with students, particularly my own. The college audition season is almost upon us, and after seeing the movie version of Les Misérables, I can’t think of a better time to talk about acting and musical theatre. Whether you liked the film version of Les Miz or not, there can be little argument about where the filmmakers stood in terms of acting versus singing. There were countless articles and interviews (HBO, 60 Minutes, the New York Times, and All Things Considered) in which Hugh Jackman, Anne Hathaway, or Russell Crowe talked about how they sang to piano accompaniment in an ear monitor so they could focus on their acting. The results are obvious. Yes, far better tenors than Eddie Redmayne have tackled the role of Marius. And Russell Crowe’s singing as Javert leaves much to be desired. But both offered up more than a fair share of memorable acting moments. Anne Hathaway reportedly earns spontaneous applause in cineplexes all over the country after her extended close-up solo of “I Dreamed a Dream.”(I was clapping!) Then there’s Hugh Jackman. Though nowhere near the singer that the incomparable Colm Wilkinson was and is, he still managed to be profoundly moving even as he carried the entire film on his shoulders. In case you’ve been riding on the idea that singing is all you need for musical theatre, let the movie version of my favorite musical be your wake-up call. I’m a certified secondary English teacher and I taught for three years and during that time I did a community theater production. I was always a lead or director in the camp show as a kid. That was a safe venue to do theater and I always loved it. In my first teaching job, which was middle school, I got called on to direct the middle school production of Arsenic and Old Lace and I had no clue what I was doing. Apparently, I did it better than most. That was my first toe in the water. I taught high school English for four years and I went back to graduate school for Journalism. I wanted to be a television journalist and in order for me to take the graduate class I needed, which was Journalistic camerawork, I needed a prerequisite. The undergraduate journalistic prerequisite was full so they told me to take an acting class. Because I was a little older, the guy who taught the most advanced BA undergraduate scene study class said “Come on in, you’re smart. Work with these guys.” Without any previous training or classes, I went into the highest level scene study class and I was no worse than anybody else. Then I applied to grad school at the same school which was Temple University, they had a very good graduate program. I had no idea what I was doing and I didn’t get in. I was so interested at this point that I went to find out what I would need to do in order to be good enough. I bumped into a woman who I had a graduate course with and she turned out to be the wife of the director of the acting conservatory and she spoke to her husband. Another long picaresque series of events-it seems like destiny in hindsight-I got into this program I didn’t deserve to be in. Within the three years of graduate school, I caught up, I guess, and I learned how to do some stuff. When I left, the one big issue that everyone was talking about was my “technique” and my “toolkit.” Most of us didn’t really have a technique. Ironically, it was a really good acting program by reputation but none of us left with a solid background. It wasn’t until I was acting in NY and found some other teachers that I really learned to put together that thing called technique. Except for one really good teacher who had a tremendous influence on me, on all of us. I dedicated my teaching career to making it [acting techniques] simple and clear. And so nothing I teach is original, other than maybe my definition of good acting, but everything else is just basic late Stanislavsky but articulated to the lowest common denominator and through repetition, it seems to work. Keep reading this interview with Bruce Miller on StageNotes.net. Acting can – and should – be more than guesswork and instinct. Actor’s Alchemy: Finding the Gold in the Script examines the relationship between the script and what an actor ultimately does on the stage or on screen. Here is a straightforward guide filled with useful information to help actors learn to use their scripts in a specific and analytical way to solve the problems of the scene and bring their elusive characters to life. In learning how to decipher the script, actors will be equipped to make the choices that lead to delivering a gold performance. In this post, StageNotes.net makes suggestions of how to use Bruce Miller’s Actor’s Alchemy book in different kinds of classrooms, including creative writing, science, social studies, and psychology. StageNotes’ advice for Creative Writing teachers was “Have your students read Chapter 5 “Sifting for a Character” before they begin working on a play.” Here is an abbreviated version of one of Miller’s classroom exercise Roll Call. Pick up a copy of the book for the full instructions. Character is most effectively and reliably displayed through a careful selection and execution of actions, not by magically inhabiting a character through some internal or emotional process. I use a particular exercise with my own beginning actors at the beginning of the semester to demonstrate the points I am making here. The game, called Character Roll Call, goes something like this. I start by asking my students to answer, “Here,” when I call their name. I tell them to answer as themselves as though attendance were actually being taken. I ask the class to observe each other very carefully during the process and to make determinations about each class member based on what they see and hear. They may even take notes if they want to in order to better help them remember what they observed. As a result of the group discussion, my class will usually conclude that any demonstration of character under the circumstances of the first round of the exercise was sketchy at best. They had too little time and too little opportunity to inhabit and communicate character. In the second round of the exercise, I ask my students to think of a dominant personality characteristic they possess. It could be anything from shyness to egotism to a great sense of humor to sadness or cynicism. Once they have pinpointed this characteristic, I ask them to come up with a single physical action demonstrating this quality that they could believably execute when their name is called during the next round of attendance taking. The key here is twofold. First, they will have to come up with an action that actually suggests the quality, which, depending on the characteristic, could be difficult indeed. If they can’t come up with an action to represent the characteristic, I tell them to change the quality they are trying to communicate. The idea in acting is to always make choices that can be carried out successfully. A central point of the ensemble element of this game is that an actor must maintain the action of his or her character even when not in principal focus. In life, no one stops being who they are when they are not speaking, yet so often, beginning actors think they are acting only when they have lines. Childish, no? Each time you respond as a character, execute an action, carry out some business, or move toward or away from someone or something, you add to the audience’s perception of your character. In fact, the sum total of all the actions you execute create for the audience the illusion of character. The audience will put together the kindness you show in one scene, the anger demonstrated in another, and the intelligence or whimsicality of other moments and mix all the pieces into a complex whole, just the way people do in life. If you come alive only for your spoken moments, you can never expect to be fully believed or to produce a fully realized character. In the third round of Roll Call, I ask my students to take a moment and come up with a strong personality trait that they can translate into a physical action or series of actions. My actors are now free from the strictures of trying to portray themselves truthfully. They are now free to step outside of themselves and be more creative. By the end of this sequence of exercises, my students are pretty well convinced that character can be created through a series of actions without the need to somehow completely transform themselves into the character being played. They also understand that successful acting usually results from careful analysis and planning rather than from simply relying on intuition and spontaneous brilliance. Of course, the acting process reserves a special place for those who can live in the moment and react, but most actors cannot afford to rely on that ability alone. Read more tips for teachers on StageNotes.net. Acting can – and should – be more than guesswork and instinct. Actor’s Alchemy: Finding the Gold in The Script by Bruce Miller examines the relationship between the script and what an actor ultimately does on the stage or on screen. Here is a straightforward guide filled with useful information to help actors learn to use their scripts in a specific and analytical way to solve the problems of the scene and bring their elusive characters to life. In learning how to decipher the script, actors will be equipped to make the choices that lead to delivering a gold performance. Guest Blogger: Bruce Miller is the author of The Actor as Storyteller and the Roadmap to Success series from Limelight Editions. This is an excerpt from his blog In the Moment at the Educational Theatre Association website. This past fall, we were lucky enough to have a very famous dancer/choreographer/director workshop a new project with our students. (It was all written up by The New York Times. They did a very nice feature story about it.) The process was not always easy. Insuring that our guest artist realized his vision took its toll with our budget, personnel, and facility, but ultimately our designers came through. And during the bumps in process everyone kept smiling and chugging along. Our student actors probably had the bumpiest ride of all. They had to endure a host of script and blocking changes throughout the process that must have made many of them want to scream to the heavens. In the end, our audiences loved the show and so did all the actors who performed in it. But there is an important lesson our students learned in this little success story. Keep reading this post on Bruce Miller’s blog. 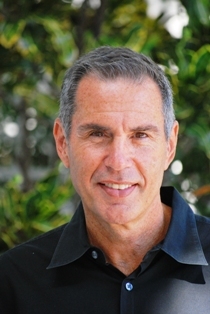 Guest Blogger: Bruce Miller, the author of The Actor as Storyteller, blogs for EdTA. The other night I went to see Billy Joel at the University of Miami’s convocation center. He had graciously offered to do a Q&A about the music business. Tickets were limited and the 1,200 seats offered were filled. On stage were two baby grands with a big gong hanging between them. When Mr. Joel came out he was informal—in speech and in attire. He wore a UM baseball cap and sweats. Without much preamble he said he was here because when he started out there was no one he could go to to ask questions about the business. He had written a long letter to The Beatles, his idols, and in return had gotten a brochure for Beatles memorabilia. He wanted to do better. And he did. During the two-hour session, he was informative, energetic, self-effacing, and very funny. He also played and sang magnificently. The most striking thing about him, though, was the humility he demonstrated about his career and talent. He described himself as merely “competent.” The students in the hall knew the words to every song he sang. So did I, and I was forty years older than most of the audience. Many of Mr. Joel’s songs provide the background score to my life. But in his mind, he’s just competent. Mozart and Beethoven—they were the real deal. He studied them and borrowed their structural ideas. He hammered his songs together hoping that we wouldn’t see and hear the musical nuts and bolts he lifted from his betters to hold his songs together. Just competent, indeed. To continue reading, please visit EdTA’s website. 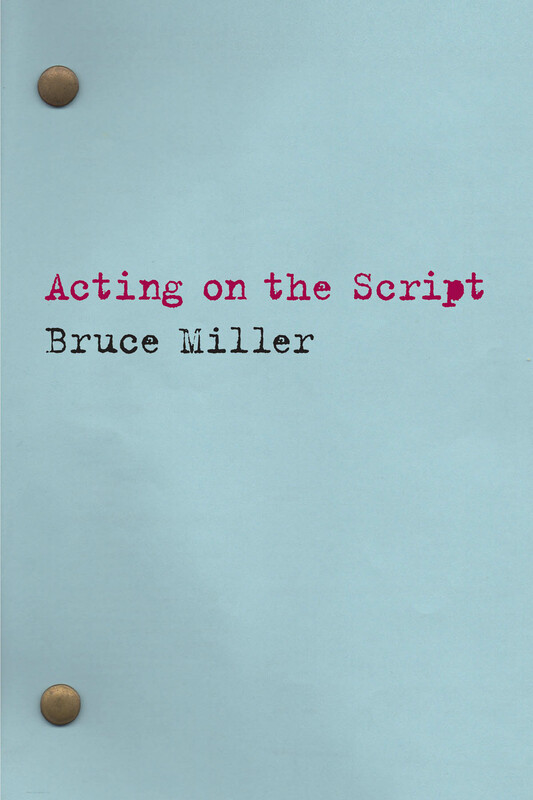 Guest Blogger: Bruce Miller author of The Actor as Storyteller. Nina Arianda is a name you should keep in mind. She is an actress who has made quite a stir in a very short time. In fact, I would venture to say that not since Meryl Streep has an actress made such an impact so quickly on the New York theatre scene, and that goes back some thirty years or more. If the name is familiar to you it is probably because of the splash she made on the Great White Way last spring when she opened in Born Yesterday playing the role that is synonymous with the late, great Judy Holiday. It is the kind of iconic role that can be a suicide mission—unless you truly have the goods to break the memory of the former owner of that role. Just think trying to do Stanley Kowalski from Streetcar after Brando, or Dolly Levi from Hello (you know who) after Streisand, and you’ll understand what I mean. Yet that is exactly what Ms. Arianda has done. Guess she wasn’t born yesterday.